Today I would like to honour the ceramic work of a close friend Nicola Field who has taught me so much about creation and finding meaning in the experience of being a disabled person. Her current work HOW TO BE STRONG is a mixed media art installation project. 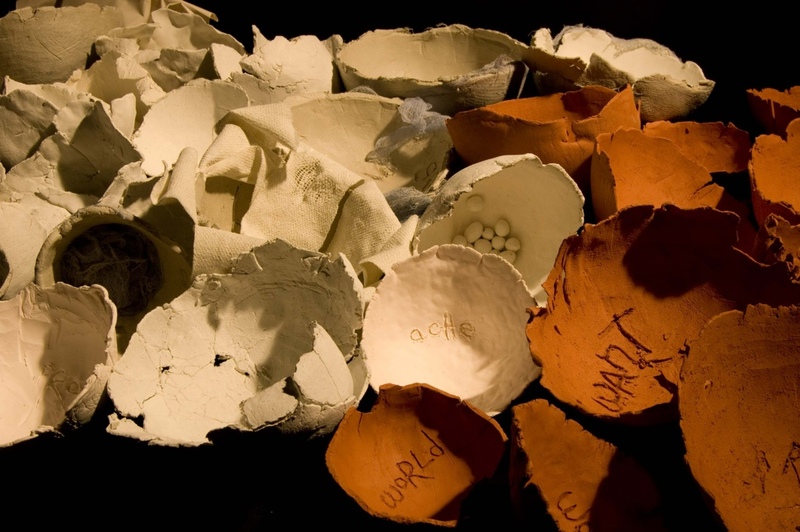 The central piece is a collection of ceramic bowls in varying states of fragility and strength, disintegration and wholeness. Together their struggle to hold together in a state of being becomes a discourse on the experience of disabled people in a Society where they are under constant attack from a series of welfare reforms which threaten the very centre of their existence. Watch them for a while. The bowls evoke our own feelings of fragility, threat, and the struggle for strength in a very profound way. The more I make contact with the piece and touch and hold the bowls the more moving I find it. I personally feel very honoured to have been made my own bowl which with its relative strength and smooth wholeness speaks to me of the gift, and shared strength, of friendship. 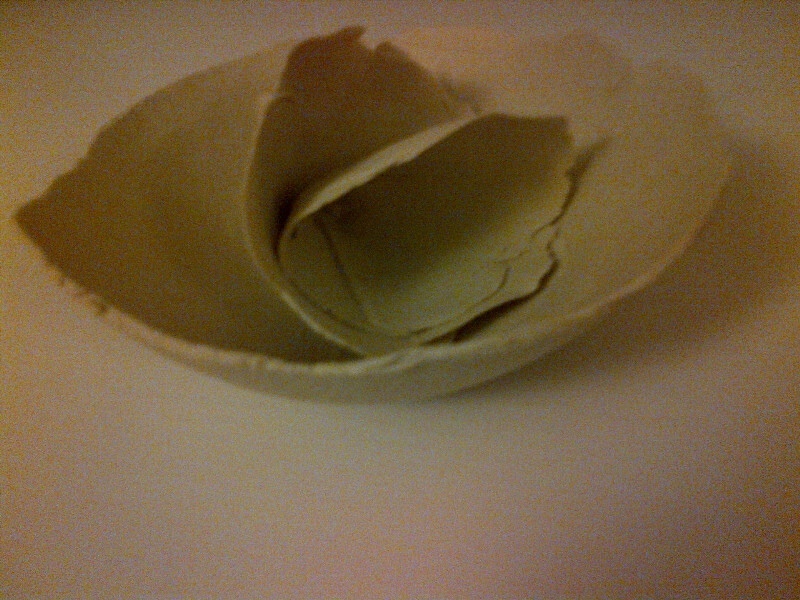 An associated work in progress from Nicola is a book which explores the acts of reparation and holding (both symbolically within the art therapy and in an exploration of meaning through the words of a prose poem) which have been required to allow the bowls to hold together and come into being. 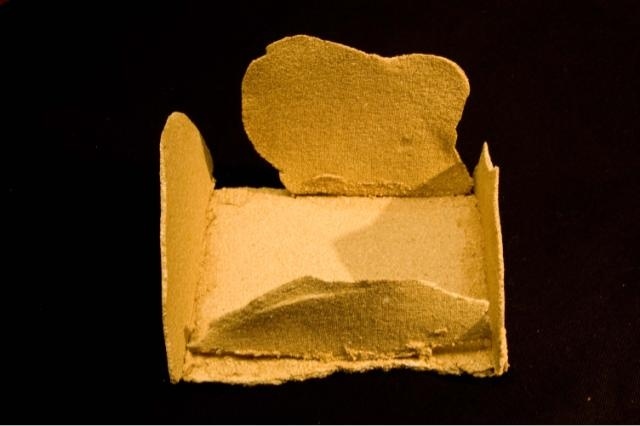 Thus this becomes a discourse on the self and the processes of splitting and disintegration, reintegration, holding, containment and relative wholeness which can be experienced within a therapeutic exploration of self. As I have recently started work on a series of felted bowl sets and containers we jokingly said we might look at a joint work with hard and fragile ceramic structures embraced in soft, warm felt to explore the feelings that evokes. For many of us it is necessary to turn to art to find meaning for the harder aspects of experience. 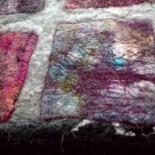 In engaging in art or with a craft in a therapeutic way we are trying to make sense of what we find.